11/30/2018 - The Hershey Bears announced today that the club has signed defenseman Jake Linhart to a professional tryout agreement. 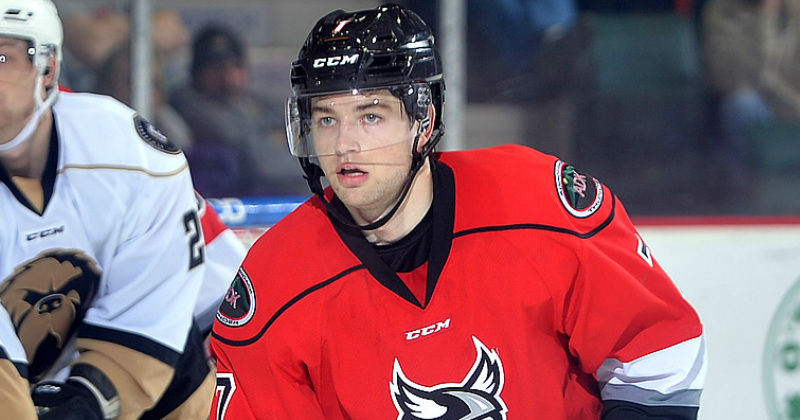 Linhart, 22, joins Hershey after opening the season with the ECHL's Adirondack Thunder. The 5-foot-11, 185-pound defender appeared in 19 games with Adirondack, scoring 11 points (two goals, nine assists). The rookie registered his first professional goal in Adirondack's 4-3 win at Brampton on Oct. 21. The native of Brookfield, Wisconsin played four seasons at the University of Wisconsin prior to turning pro. With the Badgers, Linhart collected 60 points (15 goals, 45 assists) in 142 career NCAA games. He was named to the Big 10 Second All-Star team in 2016-17 and served as an alternate captain for Wisconsin in 2017-18. Linhart will join the team for practice today and will wear #32. The Bears return to action with a pair of games at the Giant Center this weekend. On Saturday, Hershey hosts Hall of Fame Night versus Springfield at 7 p.m. Sunday is the CommunityAid & WGAL Teddy Bear Toss at 5 p.m. versus Binghamton. Tickets are available at HersheyBears.com.